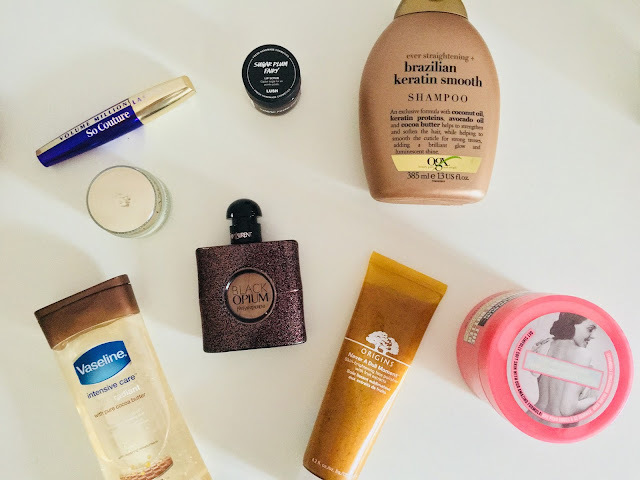 There's so many products which I've been loving at the moment, and I just had to share them with you! 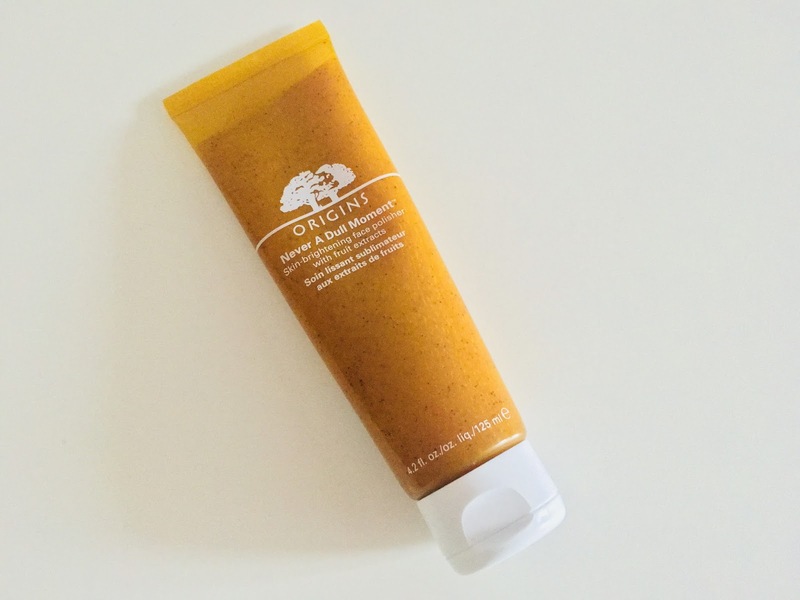 The first product in my November favourites is the Origins 'Never A Dull Moment' Facial Polish. I had been looking to try a new exfoliant for my face but just didn't know what product to try out. Through looking at the Boots websites and numerous reviews, I came to choose the Origins one. I'm a fan of Origins skincare as it is, and 'Never A Dull Moment' has become a film favourite for me! I love the fruity smell of it and I just love the colour of the packaging too! 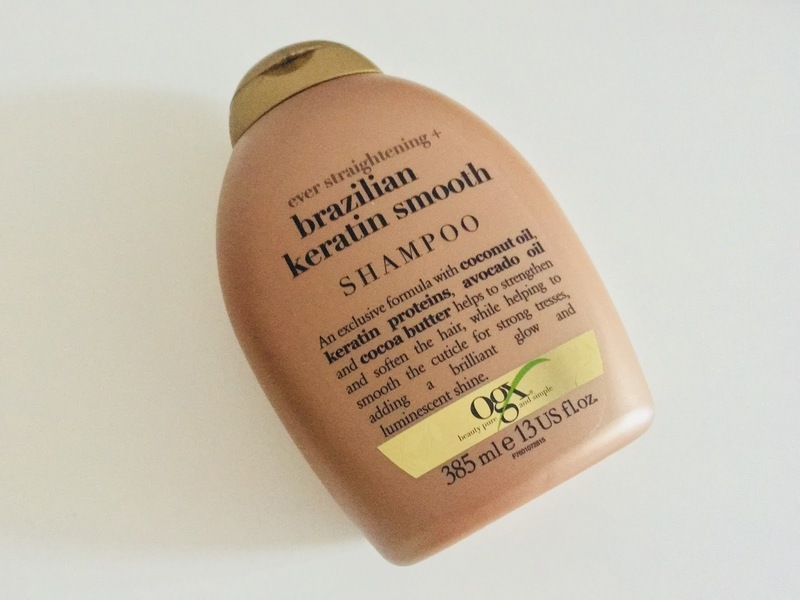 I've also been loving the OGX Brazilian Keratin Smooth Shampoo. This shampoo smells amazing because it contains Cocoa Butter, and thanks to the avocado and coconut oil and keratin proteins it's made my hair feel super smooth and soft. 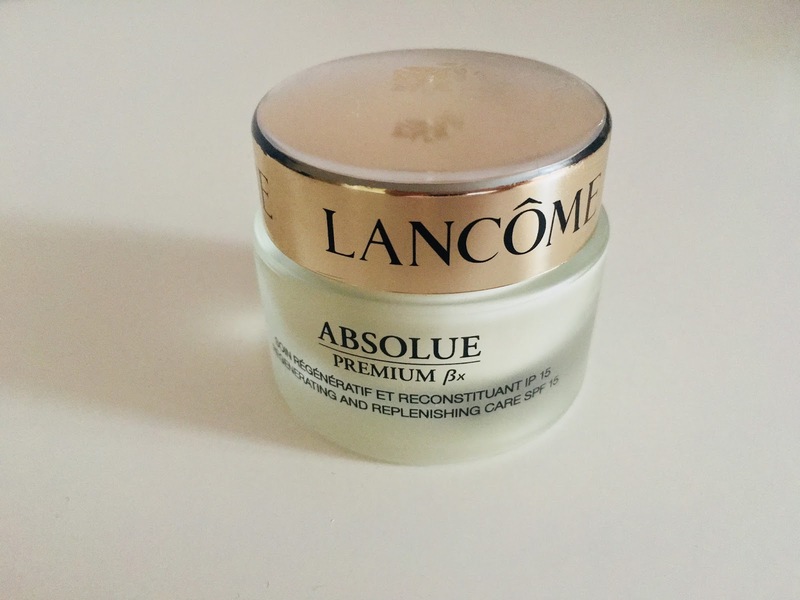 During my evening skincare routine lately, I've been using the Lancôme Absolue Premium Bx moisturiser. I received this in the Boots Beauty Advent Calendar last year, and I can honestly say that this is one of the best moisturiser's I've ever used! It's quite pricey, however the quality is brilliant and I've noticed a difference in my skin since using it. 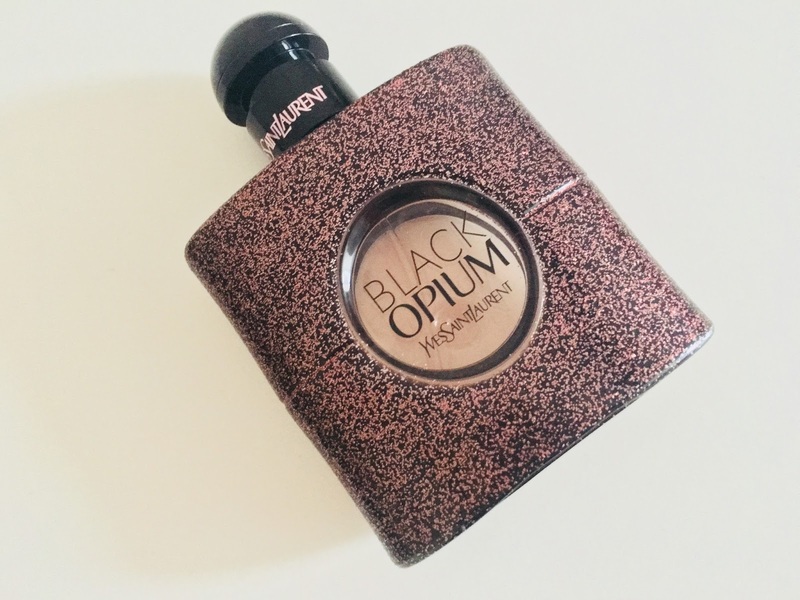 I've included the YSL Black Opium perfume in my November favourites, however it's been a year long favourite for me. The scent of this is just so refreshing and I have received so many compliments from people when I wear it, I've also found that it's one of the most long wearing fragrances too. I suffer with extremely dry skin on my lower legs which can cause them to become very itchy. 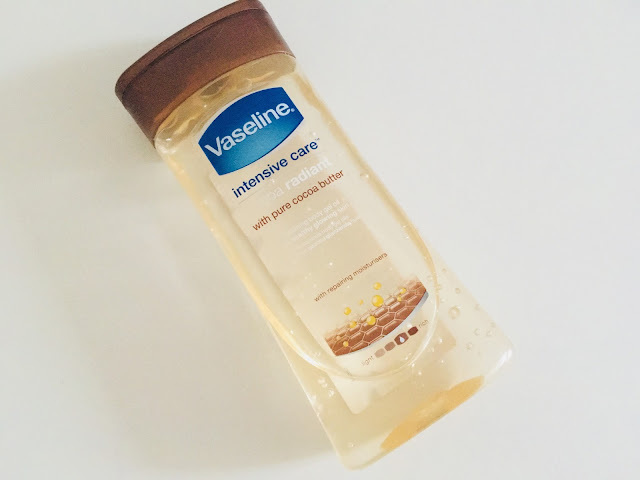 To combat this, I've been using the Vaseline Cocoa Radiant Oil on my legs as soon as I step out of the bath or shower. It's honestly worked miracles on me, my legs are nowhere near as itchy as they were and feel so much more softer and moisturised. 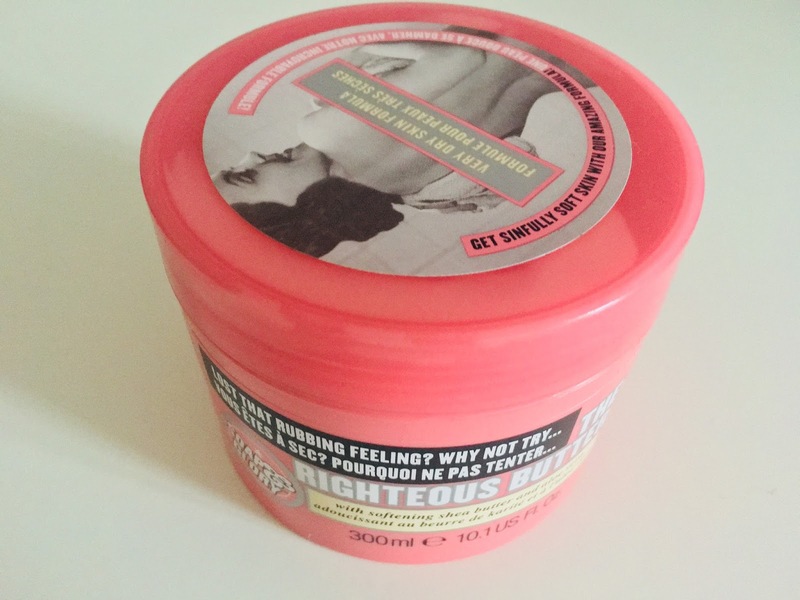 Whilst on the topic of dry skin, I've also been using the Soap and Glory Righteous Butter. This body lotion not only makes you smell great, but it's also super moisturising and really nourishes my skin. It's been a favourite of mine for a while but I've recently fallen in love with it all over again. 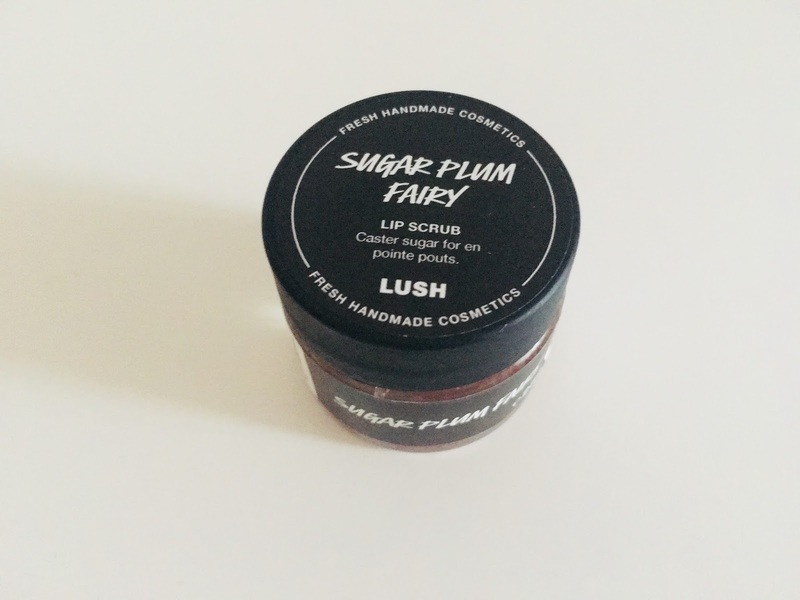 For Christmas last year, I received the Sugar Plum Lip Scrub in a Lush gift set. I've recently started using it and I cannot believe I hadn't used a lip scrub before! It makes my lips feel super soft and smooth and is especially great if you wear lipstick and you don't want the lipstick getting stuck in any dry skin on your lips. 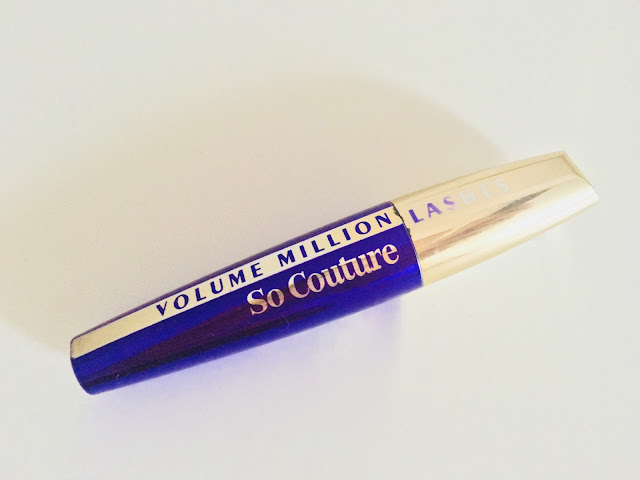 Last but not least in my November favourites is the L'Oreal Volume Couture Mascara. This is the only mascara I've ever used which gives my lashes the volume and length I desire! I'm so so obsessed with this and the bets bit is that it doesn't break the bank! Let me know what your favourite beauty items are at the moment?